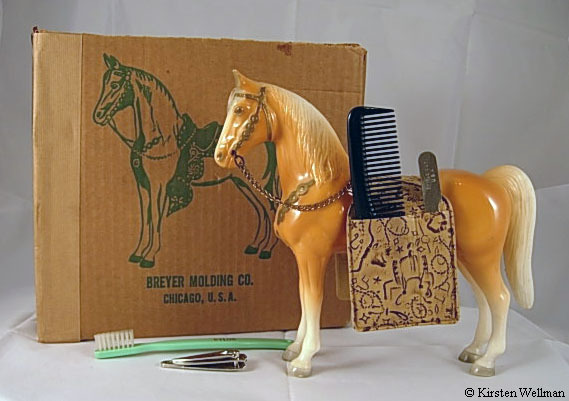 An indepth look at the many different types of packaging Breyer has used over the years to package their models, dolls and accessories. With the cold weather coming, it means I will have more time to work on updating the Box blog and Box Site. Winter is my favorite time to do research, all toasty inside with magazines and books spread out all around me. The next part of the 1970s is in the works. Look for it soon! I decided a while ago that I wanted a permanent archive for the box blog. The blog will continue on as it has, but I've created a website with the blog content (entries and photos) as well as additional information that is hard to post in the blog format. 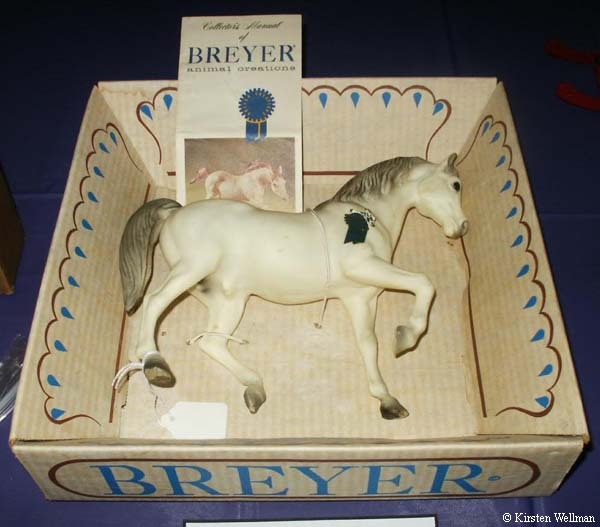 The website is a hub for all things Breyer packaging with links to past articles, links to the galleries as well as a guestbook and other goodies. One of the first treats on the new website are the pages with the listing of models and prices for the Showcase Collection. The next part of 1970s boxes should be posted soon. After the failed attempt of the touchability box, Breyer Animal Creations was looking for a unique way to make their products look attractive on the shelves and for their customers to see what they were purchasing. Remember in previous years that Breyers came in cardboard mailers. 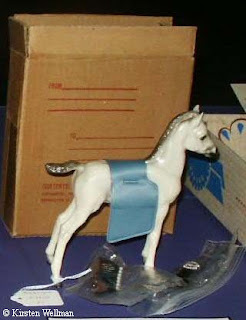 During the 1970s Breyer used several different types of packaging. Part 1 will explore the Showcase Collection. 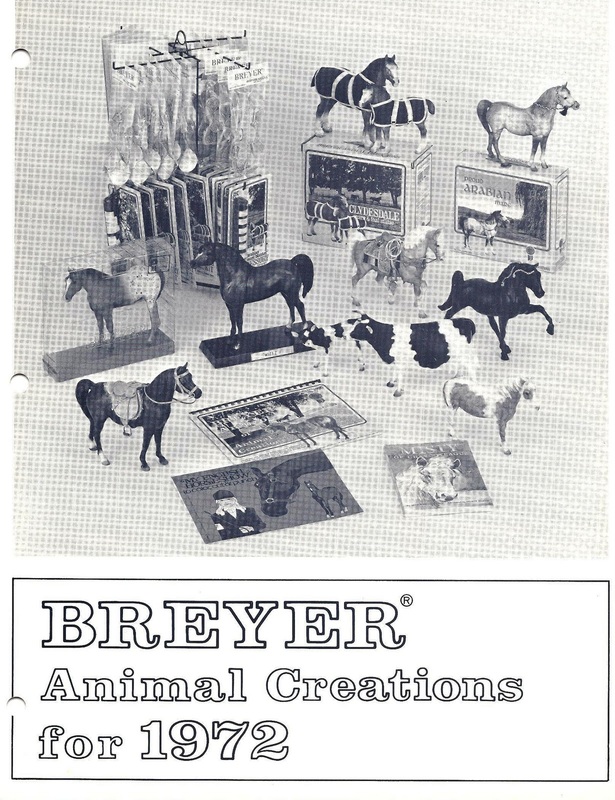 Starting in 1970 Breyer introduced the Showcase Collection. Here is an ad from the Toys and Novelties Trade Magazine from March of 1970. 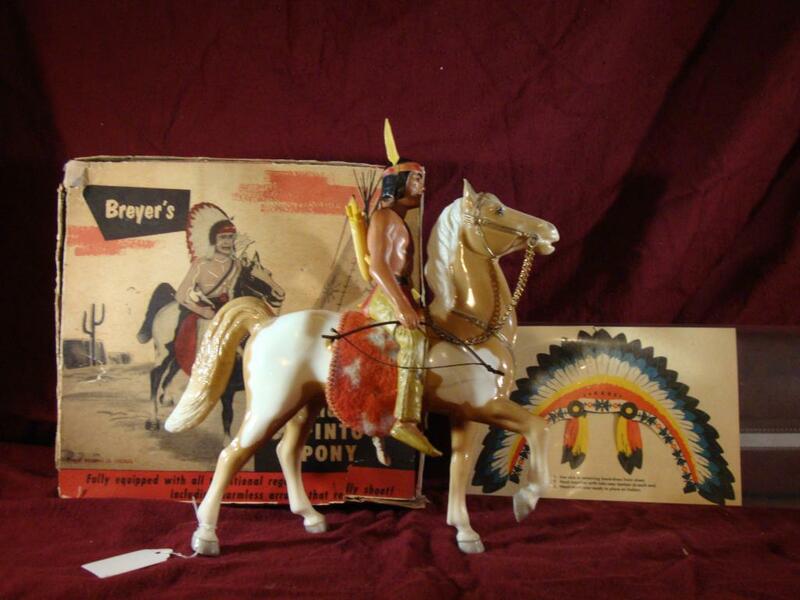 (Courtesy of Sharon W) This exact ad also was part of a brochure that Breyer released in 1970 to promote this packaging. The Showcase Collection was a series of regular release catalog horses packaged in according to the 1972 catalog " sparkling clear plastic". "Each case is sealed, hinged and has a molded in handle which can be used by collectors for stabling or hauling. 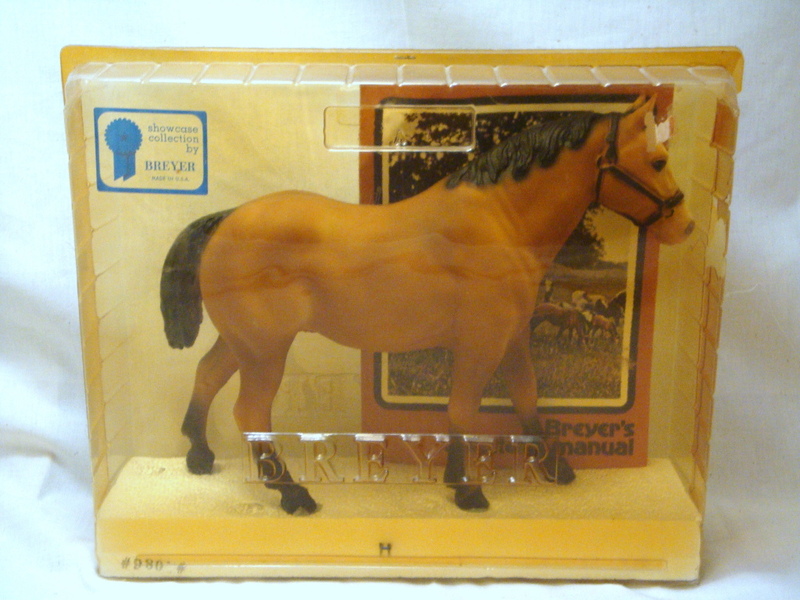 This collection of model horses is available at many stores selling Breyer Animal Creations." Photo from the 1972 Box Catalog. 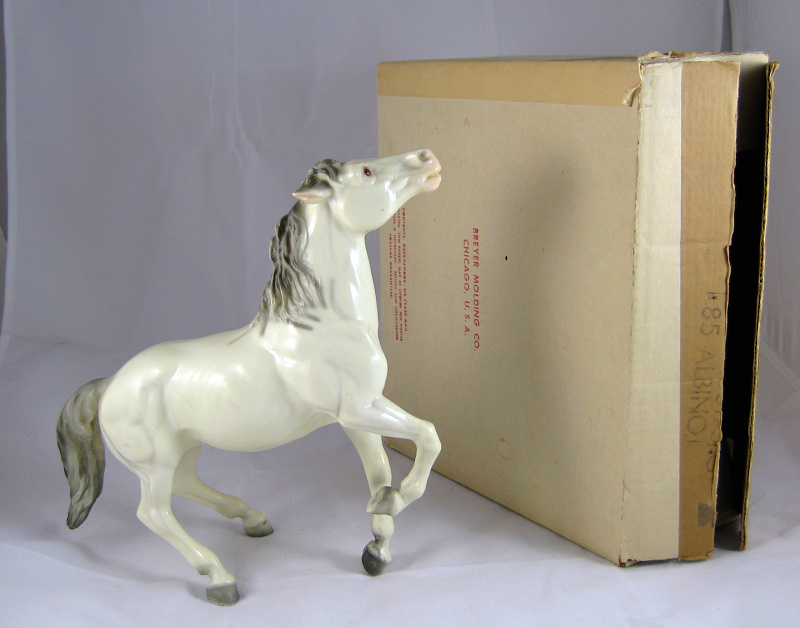 The front and back covers of the 1972 Dealer Catalog also show this Appaloosa Yearling in a Showcase Box . the 1970 catalog shows no box information and there was no catalog for 1971. The Showcase boxes were embossed with "Breyer" in the plastic toward the bottom. They had molded handles and were stapled on the top and hinged on the bottom. Some of the earlier boxes had nothing to keep models from moving around and many horses ended up with broken ears or ear tips. Later Styrofoam was added on the bottom beneath the horses' hooves which lifted the models in the boxes but ear rubs still occurred. 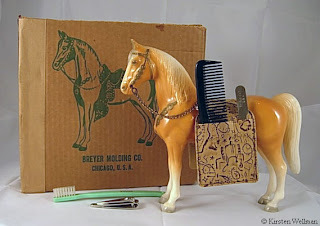 Some boxes had a sticker in the top left corner which said "Breyer Animal Creations Showcase Collection" *Break Resistant* Model No____ and Made in the U.S.A" such as this Clydesdale Stallion photo courtesy of Stacy B. Others had the model number stamped onto the Styrofoam on the bottom left. In place of the white sticker was a square sticker with a blue border, blue rosette and "Showcase Collection by Breyer. Made in the USA" as shown below on this QH box courtesy of Stacy B. The Showcase Collection consisted of Regular Run Models which were given special numbers. Anywhere from One to three zeros added to the regular run number. ie. Adios # 50 became #500. 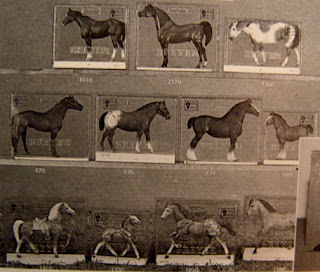 After 1970 additional models were added such as the Proud Arabian Stallion and Quarter Horse Yearling. New colors were added to some of the previous molds including Red Roan on the Running Mare. For a complete listing of all molds, colors, product numbers and the dates released see Marney Walerius' Breyer Models Reference and Insurance Guide. From photos the models look impressive in these new packages, but there were several major flaws with this packaging design. The "clear sparkling plastic" became yellowed over time. This of course wasn't a concern at the time of production. They most likely remained clear for some time before they started to yellow in shops and personal collections. But what was of concern was the fact that they were not so sturdy for "stabling and hauling". The boxes cracked and broke easily. The plastic is similar to the plastic trays many cookies come in these days. 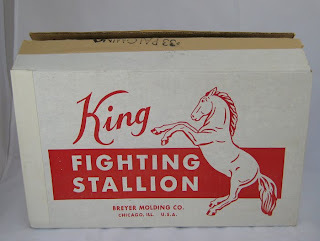 As per Nancy Young's (Breyer Horses, Riders & Animals Molds and Models pg 253) conversation with Peter Stone in 1995, the packaging was discontinued because it was too expensive. (remember the oil crisis began around 1973 and these were plastic packages) and they also did not sell well. Since the regular run models in the Showcase Collection were given special numbers, it was too much work to keep a separate inventory. The line was discontinued in December of 1972. Today these boxes are very sought after by collectors and finding them in good shape is a rare bonus! With the failure of the Showcase Collection and the impending oil crisis ahead, what was Breyer to come up with next? Stay tuned for the next part of packaging of the 1970s to find out. Before I head into the next decades I thought I would share some photos I took while at a live show yesterday. 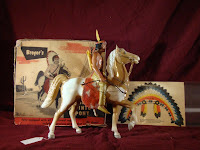 These photos show all sides of the Indian Brave and pinto pony box. The set belongs to collector Robin Roberts, also known as the Fury Lady. This first image shows the front of the picture box. Here is the image of the Brave and his horse set in a scene. And hey parents, did you know this Chief's arrows not only really can be launched, but that they are harmless? This toy reminds me so much of an action figure I got my sister for Christmas when we were small and we spent all of Christmas shooting the "harmless" arrows at my parents and the video camera my father was trying to operate! This next image was printed on both the left and right sides of the box and has a witty phrase to catch shopper's attention. Complete with Native American symbols in red. This next image shows the box bottom, which lets you know this is another Breyer Creation. 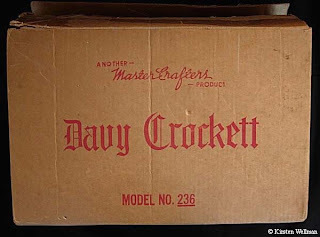 Mastercrafts clocks had this same slogan on their box. A common phrase at the time? And finally the top of the box, which lets you know which color combination is in the box you picked out. This particular box has none of the little boxes check marked. Either time has worn away the mark or this box had a surprise in it! To discuss the first types of Breyer horse packaging, I'm going to give a little Breyer history lesson. 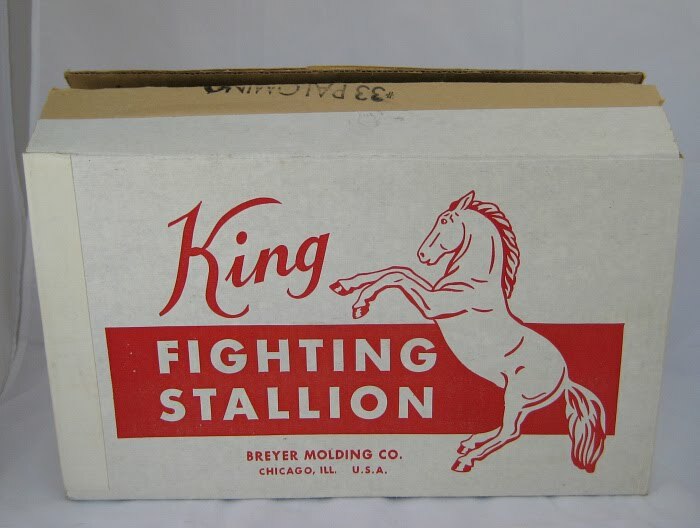 Breyer Molding Company was purchased in 1943 by Sam Stone (father of Peter Stone: maker of models horses) and a partner who died shortly after purchasing the company. No model horses were made back in those days. During World War II the company molded plastic parts and pieces for the federal government. After the war they molded plastic parts for radios and televisions. Master Crafters Clock Co went to Breyer Molding Company looking for a plastic horse that they could put with their clocks. Hartland Plastics had previously made the horses and had now stopped making them. Christian Hess sculpted the new horse, though it was far from original. It was a copy with a few changes of the Hartland "Champ". 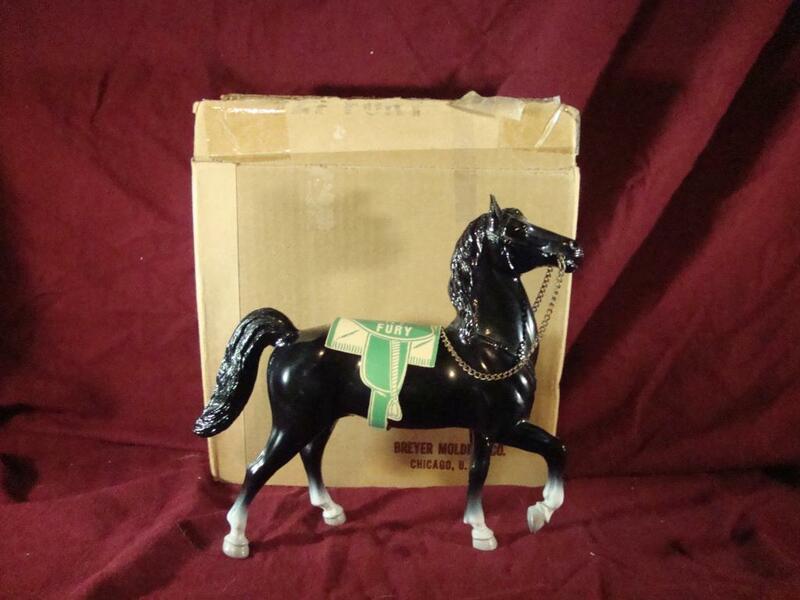 The metal mold was returned to Breyer from Master Crafters Clock Co as part of payment and in 1950 Breyer began producing and marketing horses on their own. Their first horse is what would be known as the #57 Western Horse. WF Woolworth was Breyer Molding Company's first customer. With moderately good sales Woolworth asked for additional models and to be made. 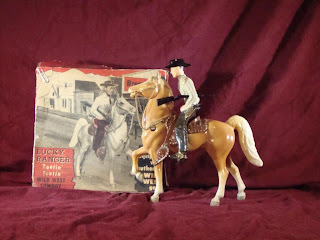 Fury, Davy Crockett and horse, Indian Brave and pinto horse, Lucky Ranger AKA Kit Carson and horse and Canadian Mountie and horse were some of the sets sold through various stores and catalogs. The boxes showed a picture of the actual molded horse and rider in a hand drawn or photographic grayscale scene and the rest of the boxes were printed in eyecatching red, white and black. Fury was packaged in a plain box similar to the 57 Western horse. Fury horse , Indian Brave and Pinto Horse and Lucky Ranger and Horse courtesy of Robin R.
Additional horses were sculpted and added by Chris Hess and Breyer had the idea of adding non horse related accessories such as combs and writing materials. The grooming kits, as they are often referred to, were offered in the late 50s through catalogs. Boxes changed very little into the 1960s. 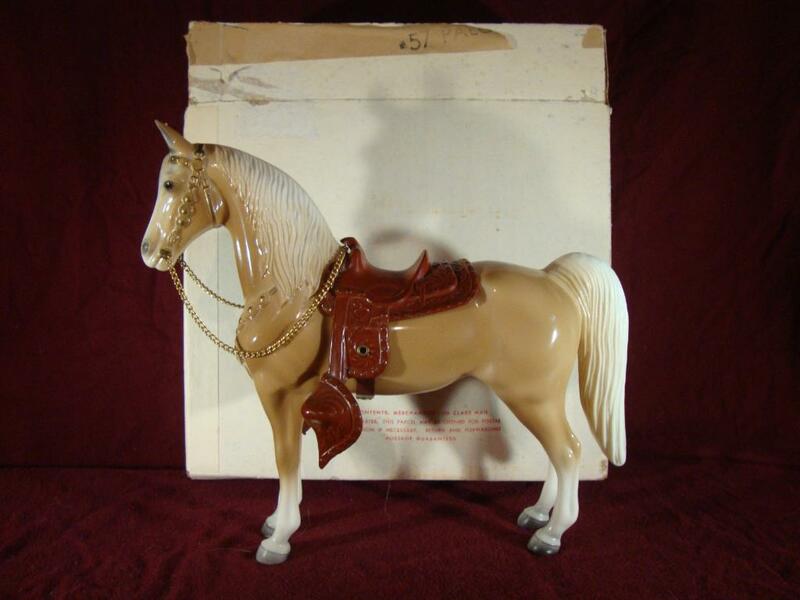 Additional horses were consistently sculpted by Chris Hess, and became a part of the Breyer line. Collector's Manuals or Catalogs were also added to the boxes starting in 1968 so that consumers could see the full line of Breyer model horses available. 1968 began the first major change in packaging in nearly 20 years. 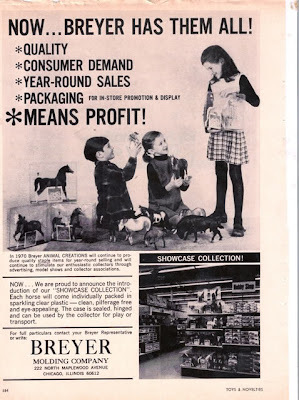 Breyer mentioned in their November 1968 price increase list to retailers about models being available in mailing cartons (regular brown or white cardboard boxes) or their new Display cartons. A January 1969 Price list shows a picture of the new display cartons stacked in two piles with a toddler in between them. Collectors often refer to this new display carton as the "Touchability box" Photo below of FAS in new Display carton with 1969 collectors manual courtesy of Kirsten W.
These new display cartons were made of heavy corrugated cardboard. Gone was the red text of the past and black and blue type was now used. The sides folded in toward the center and were held in slots with tabs. Only certain models were available in this box. The Family Arabians in Appaloosa, Alabaster, Bay, Charcoal and Palomino. The models were held in place by two thin elastics or ties. One which went over the center of the model and another which went over a hind leg. There was no plastic or shrink wrapping over these boxes. 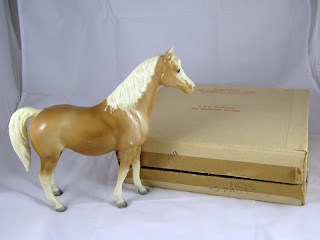 These were an effort by Breyer to make more store friendly packaging instead of the solid cardboard boxes where consumers could not see the model. Unfortunately, this was one of the those failed packaging ideas, I mentioned in the "Purpose of Packaging" post. The models were easily damaged and stolen. These were for display only and did not hold up well for storage for both stores and collectors. This type of packaging only lasted about year which is why they are difficult to find. Not to mention they did not hold up well over the years. Stay tuned for Part 1 of Horse Packaging of the 1970s! No research can be conducted without references to read and learn from. I have also used numerous Breyer animal Creations Dealer catalogs from the 1970s through today. Mainly the following years: 1971, 1972, 1975, 1980, 1981, 1982, 1983, 1984, 1985, 1986, 1987, 1988, 1989, 1990, 1991, 1992, 1993, 1994,1995, 1996, 1997, 1998, 1999, 2000-2010, as these were years available to me. This list will be added to as additional catalogs become available to me. Identify your Breyer (http://identifyyourbreyer.com) has a wide range of Dealer Catalog scans available online which were a valuable resource to me until I was able to acquire many of these catalogs in print for my research. Many many thanks to the members at Model Horse Blab (http://www.modelhorseblab.com) for their hours spent sending me photos of the boxes in their collection. Another of my main resources is the Breyer Box, Ad and Sticker gallery which I run, which would not be possible without the people of MHB. Their knowledge and thoughts and comments on boxes is valuable help to me. Photos displayed on this blog will be credited to their source as they are posted. Additional references will be added to this post as they become available. if you have further information about boxes, packaging or breyer history, please feel free to contact me. Boxes and packaging may be something that you don't think twice about and either recycle or trash, but they have an important job to uphold. Without solid boxes, sealed on card items, window boxes or other forms of packaging, products would not survive the journey from being created, to the selling company's warehouse, to stores and finally into consumers hands and homes. Without packaging, items would look pretty dull and unappealing on the shelf of your favorite store. While the idea of having the product there to touch might sound neat, think of the damage that could be done to the product just sitting unprotected on a shelf. Breyer packaging has the same important job that most packaging does. It not only protects your model horses, dolls and other goodies, when set up on a shelf they capture your attention. They shout, "Hey! I'm right here and you know you want to buy me!" 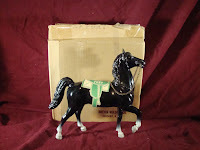 Breyer Animal Creations originally part of Breyer Molding Company from the 1950s and until the early 1980s and part Reeves International from the 80s through today has seen many different types of packaging for their horses, dolls, tack and accessories. Some packaging has not only been appealing to the consumer, but they have done their job protecting the product. Other packaging efforts have failed miserably! This blog will discuss packaging over the years. Some wins in the protection and appeal department and some losers of those areas. 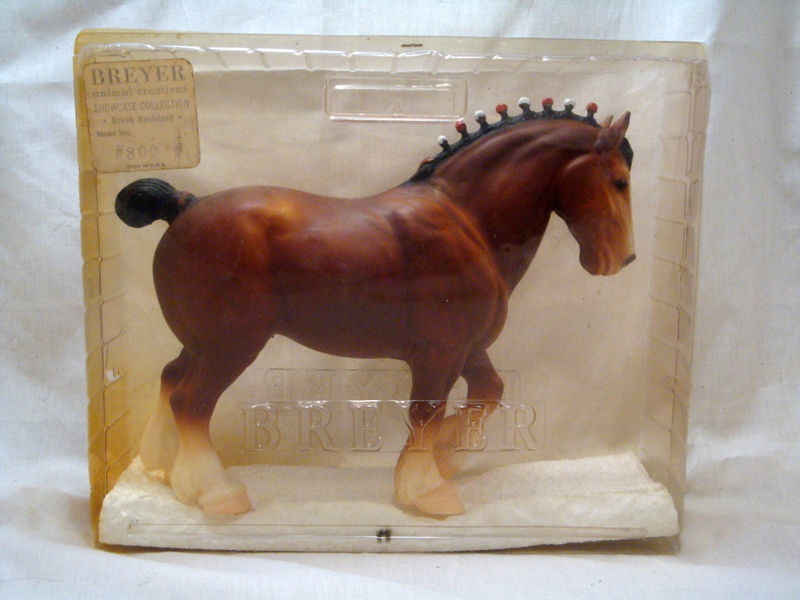 Stay tuned for more about Breyer Boxes. Please feel free to comment with your thoughts and knowledge on this subject. I am in no way affliated with Breyer, Reeves International or Breyer Animal Creations. This blog's purpose is to share history. Copyright infringement is not intended. I make no money from this blog.